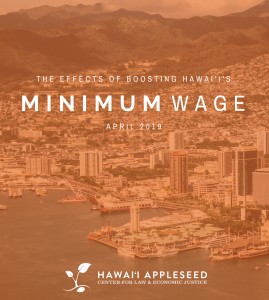 The Chamber of Commerce Hawai‘i raised concerns with four proposals to increase Hawai‘i’s minimum wage in hearings at the State Capitol Thursday, Jan. 31, 2019. The Chamber asked lawmakers to consider the impact these bills would have on the local businesses’ ability to continue to create jobs, survive in a high cost of living state and pay for benefits currently offered to employees. 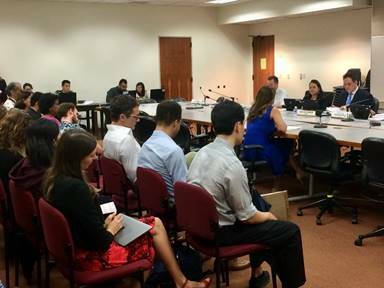 Chamber of Commerce Hawai‘i President & CEO Sherry Menor-McNamara testifies before the House Labor & Public Employment Committee. Courtesy photo. “The passage of these bills would seriously harm local businesses, the state economy, job creation and, potentially, the very employees it is trying to help. The Chamber submitted testimony on SB 789, SB 1248, HB 96 and HB 1191. The testimony also requested that lawmakers consider Hawai‘i’s high mandatory health care costs under the Prepaid Health Care Act. 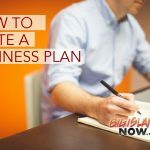 As the “Voice of Business” in Hawai‘i, the Chamber of Commerce Hawai‘i is the state’s leading advocacy organization. Established in 1850, the Chamber works on behalf of its approximately 1,600 member companies and the business community, as a whole, to advance the state’s economic climate and help businesses succeed. 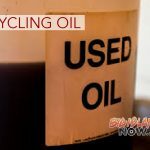 The Chamber supports its members with training, business building and networking opportunities; coordinates advocacy activities for members’ involvement; and serves as a liaison between civilian and military communities in Hawai‘i.